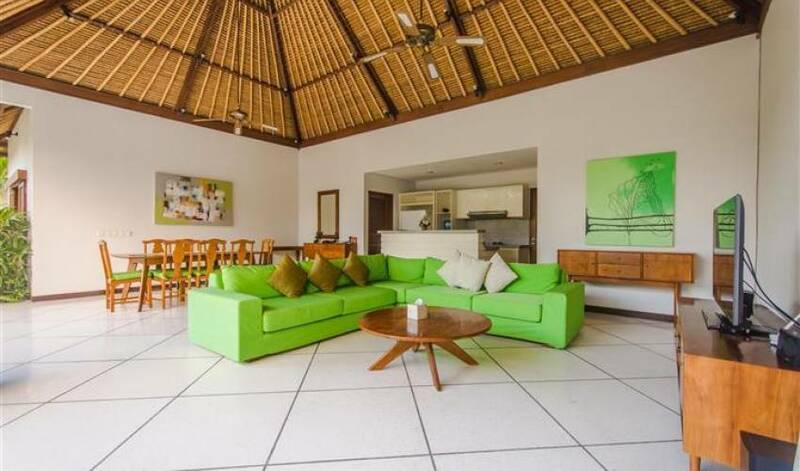 Villa 3577 is comprised of two separate but adjoining compounds, suitable for 6 people each. They are laid out similarly and have the same facilities; the description below portrays both of them. 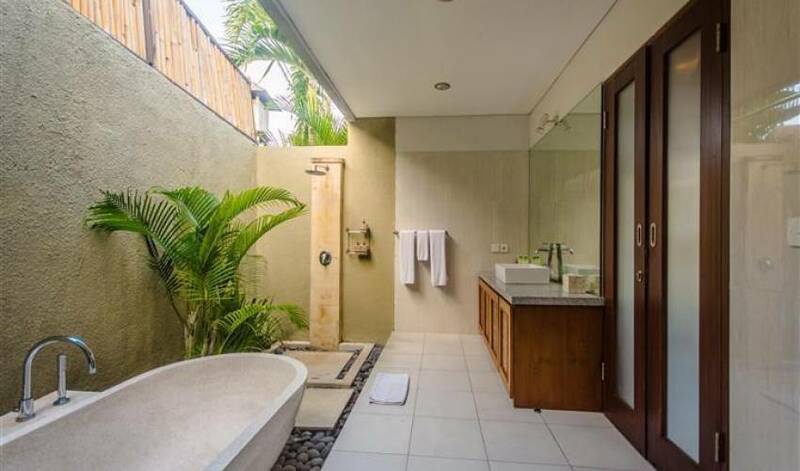 Villa 3577 is situated down a quiet lane off Jalan Raya Seminyak, called gang Keraton. 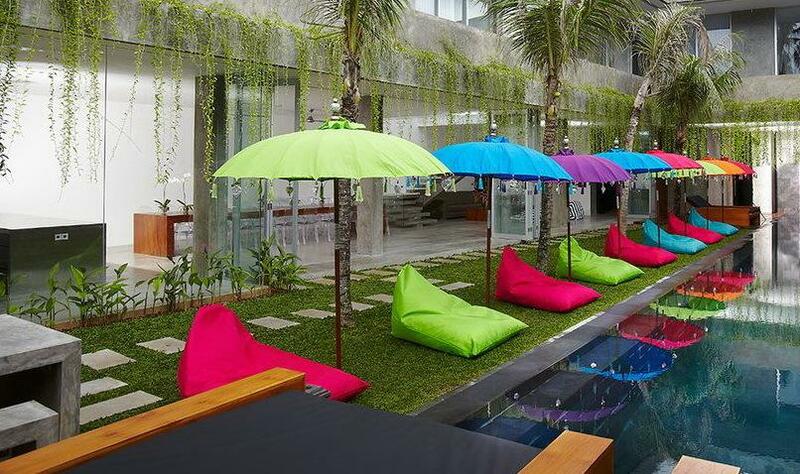 A short walk will bring you into the centre of Seminyak, a fashionable area with an abundance of boutique shopping options, as well as numerous restaurants, spas, art galleries and nightclubs. 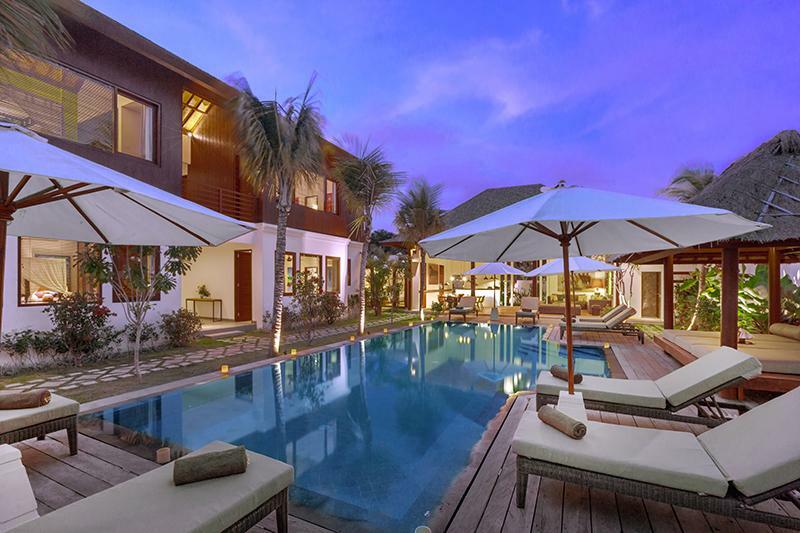 The villa is also within walking distance of Legian, the area between Seminyak and Kuta, where you will find more shops, boutiques and famous restaurants. 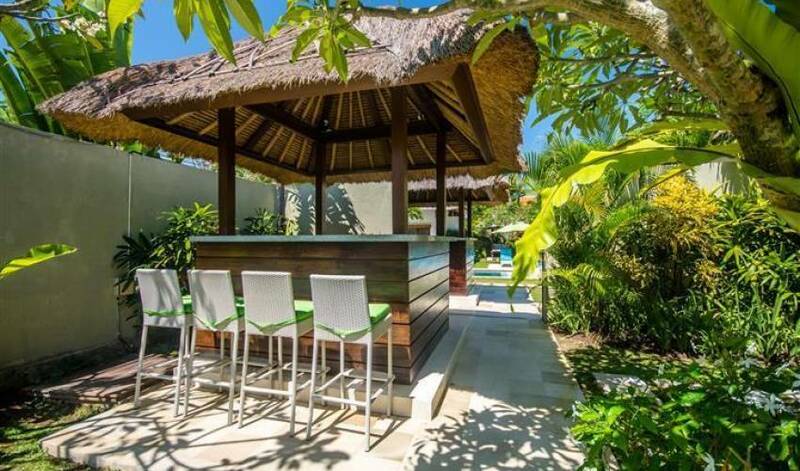 The villa is also conveniently close to Bintang Supermarket, located on Jalan Raya Seminyak, where you can get your groceries. The beach is only a 10 minute walk from the villa, which is the perfect place to enjoy a stunning sunset. 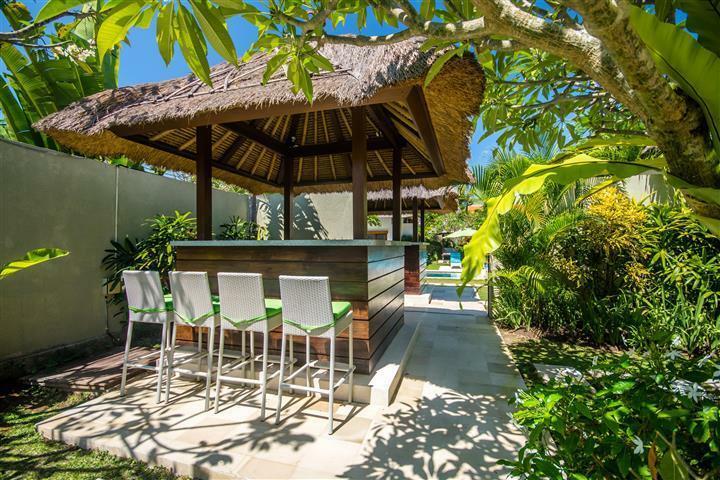 Villa 3577 is an oasis nestled in a quiet lane but conveniently only a stroll to everything you’ll need to make your holiday perfect. 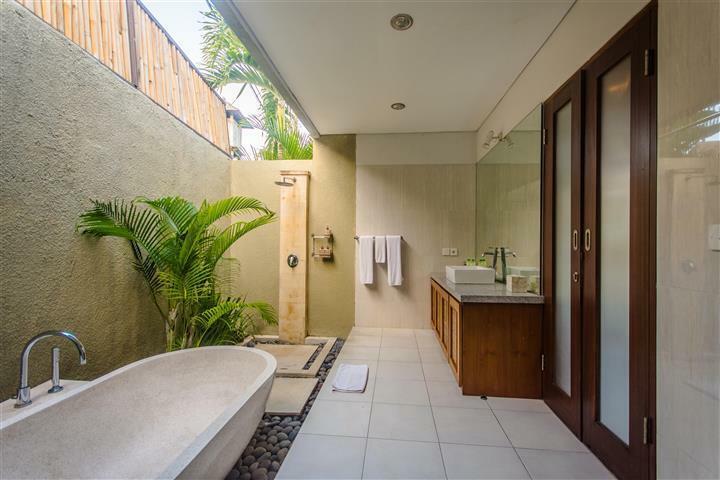 Comprising of two separate three bedroom villas, Villa 3577 is immaculately and individually styled within two separate complexes. 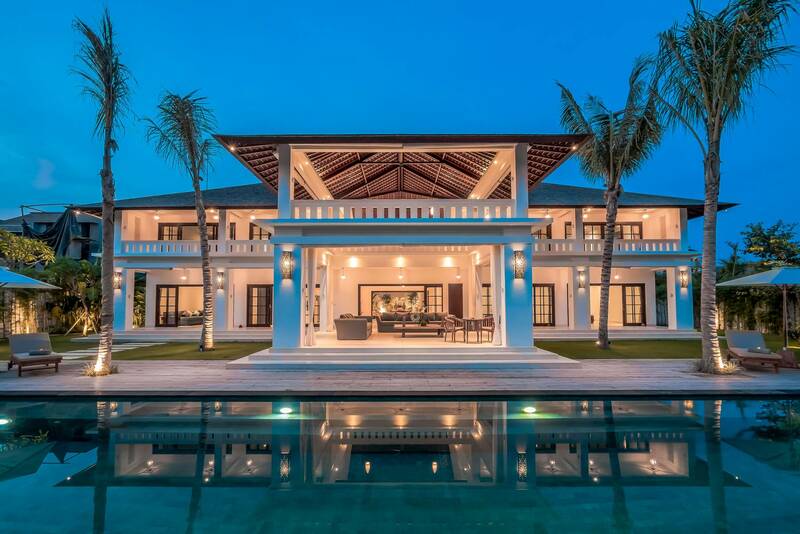 Within the two side-by-side villas is a connecting door that could be opened to merge the two villas, for larger groups. 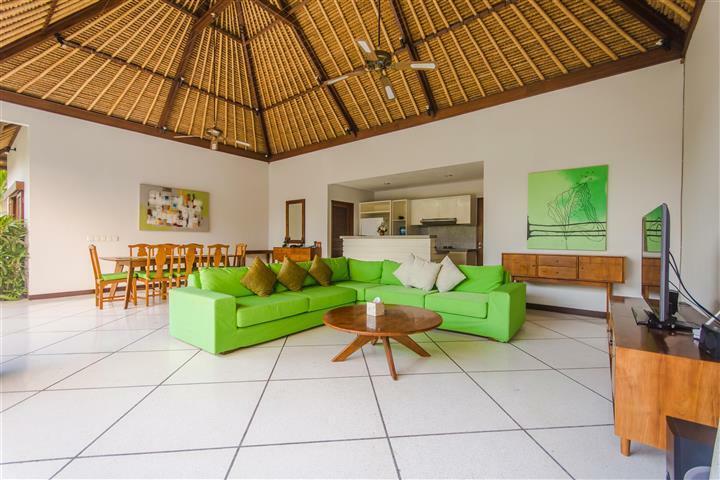 Each villa has an open plan living area, with seating area and dining table, as well as a fully equipped kitchen. The living area is ideal for lounging and relaxation for the family or for a group of friends, with sofas gathered around a television showing over 50 international channels as well as having a DVD player. There is also a music system fully installed with a high quality surround sound system for the listening pleasure of our guests. Next to the seating area is the large dining table, ideal for social interaction over a shared meal. Then behind all of this is a convenient kitchen area, which features all of the appliances, crockery and utensils you are likely to need during your stay here. 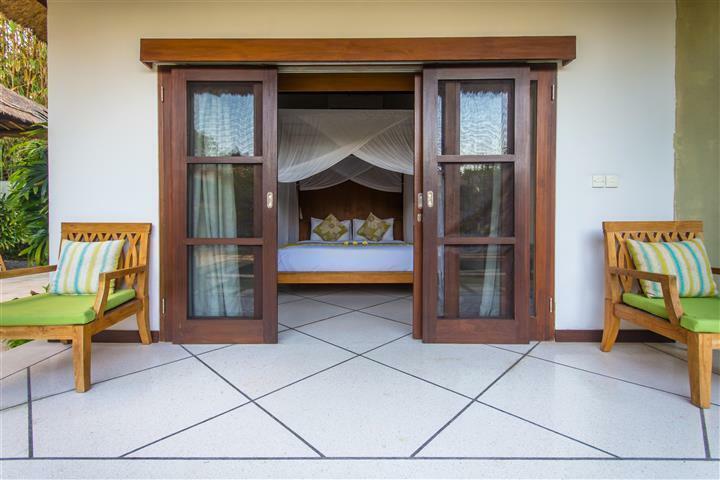 Villa 3577 is comprised of 2 buildings; a main building and a guesthouse, containing the master bedroom. 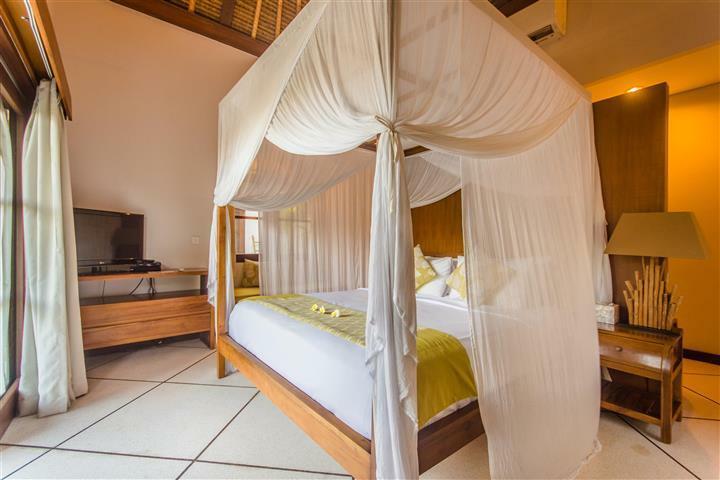 The master bedroom faces the gardens and pool and is comprised of a bedroom and elegant en-suite bathroom with bathtub and exclusive guest amenities and supplies. 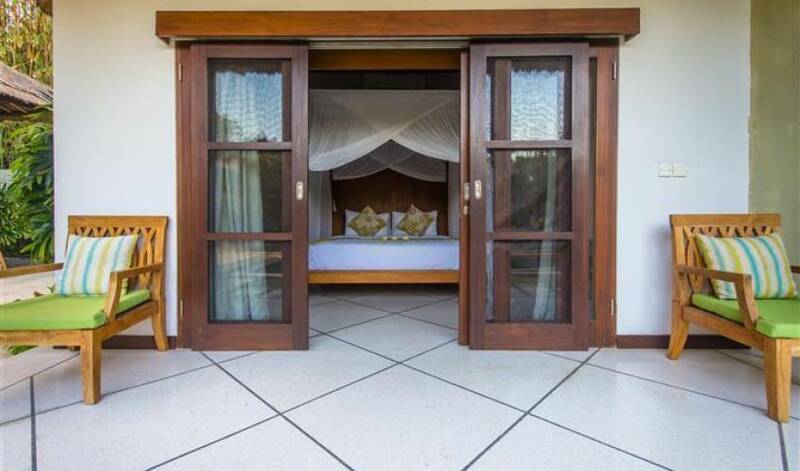 At either side of the living space are two air-conditioned bedrooms; one has a double bed and the other has twin single beds that can be converted into a double bed, should you prefer. Both rooms have a safety deposit box in the wardrobe and stylish en-suite bathrooms with open shower and exclusive guest amenities and supplies. The grounds of the villa are landscaped to make a beautiful tropical garden, featuring green lawns, palms and other tropical plants. Relaxation is ensured as you sun yourself in the exotic outdoor space on one of the comfortable recliners next to the swimming pool or lie back at night and watch the stars twinkle as the pool shimmers in the moonlight. There is also a pavilion housing a BBQ grill space – perfect for outdoor cooking and dining and hosting parties with family and friends. 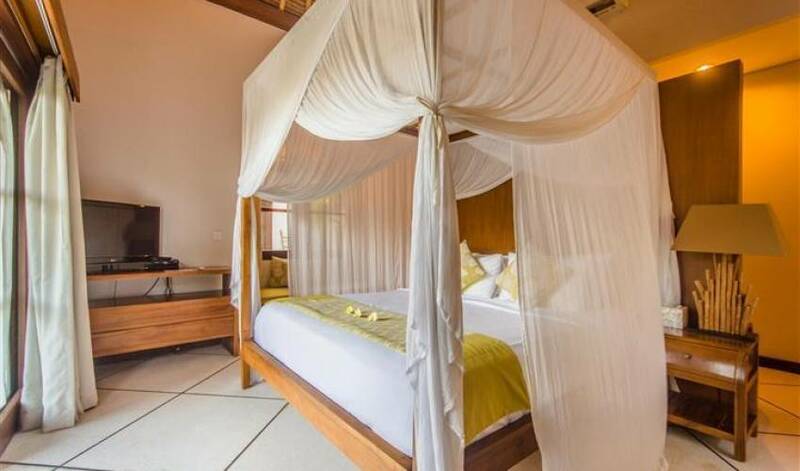 Two villas each with three en-suite bedrooms, one with king-sized beds, one with double bed and one with twin single beds.